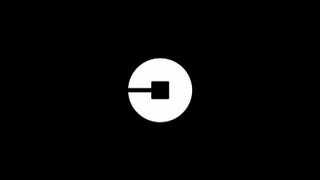 That’s Uber’s new logo which isn’t a stylized “u” anymore. Which is a weird choice that doesn’t seem at all connected with the name of the brand. Updated with more information and another logo. The new logo, as one of the other writer’s here has pointed out, bears a bit of a resemblance to the logo for Chase. According to Wired, founder and CEO Travis Kalanick didn’t go to a marketing company for the rebranding (also called a “coming of age” story in Wired), but did it all in-house. Maybe if they had gone to someone else, they would have been told that a logo so totally divorced from a connection with the actual name of the company defeats the purpose of a trademark: easy identification. The rest of the Wired story will fill you in on how Uber chose the new colors, picked the tessellated pattern after being inspired by bathroom tile, created mood boards, based the look on a blog post by Kalanick, and how they reworked the process once they figured out the problem was they were designing a logo for Kalanick and not the users.